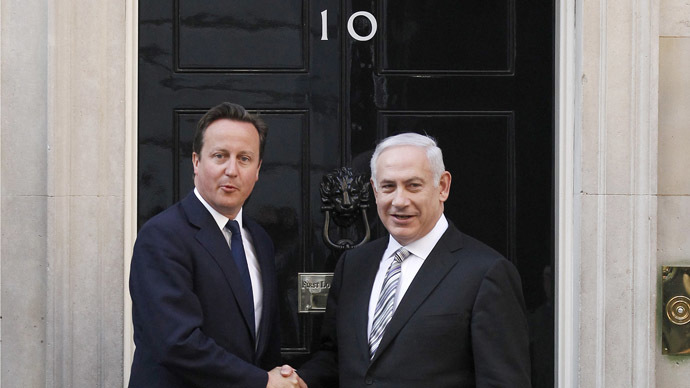 Prime Minister David Cameron has expressed concern about Labour’s foreign policy towards Israel and Hamas two days before Britain goes to the polls. Cameron said he understood the fears among Jewish communities after terror attacks in Europe which have targeted a kosher supermarket and a Jewish museum. The prime minister was campaigning in Hendon in northwest London, which swung to the Conservatives in the last general election and is considered a marginal seat. Conservative Matthew Offord is campaigning for reelection in Hendon, a constituency where 17 percent of the population are Jewish. Cameron told the Jewish Chronicle that Jewish voters could have an impact on the election this Thursday. “I know that at this time the Jewish community have felt, understandably, particularly threatened because of the appalling events in Brussels and then in Paris. I want to do everything we can to reassure them,” he said. An opinion poll conducted by Survation on behalf of the Jewish Chronicle last month found the overwhelming majority of British Jews intend to vote Conservative, despite Labour leader Ed Miliband’s Jewish roots. Some 68.9 percent of British Jews intend to vote Tory on Thursday, while just 22.2 percent favor Labour. Miliband is the son of Jewish refugees who fled Nazi persecution. His grandfather died during the Holocaust. By his own admission, he did not have a traditional religious upbringing and many among the Jewish community view him with ambivalence. “When you told me we might have our first Jewish prime minister, my first reaction was: I didn’t know David Cameron was Jewish?” a Jewish community leader told the Financial Times. “There’s definitely something that goes on with Ed Miliband that makes the love of - or connection with - him more ambivalent,” she said. While Miliband declared himself “a strong friend of Israel” in an interview with the Jewish Chronicle last week, he has attracted criticism for his strong condemnation of Benjamin Netanyahu’s government during the conflict in Gaza last year. The overtly Anglican PM Cameron told the Jewish Chronicle last month Israel was “right to defend itself” during the Gaza conflict.